At the Wood Stove Decathalon in Washington, D.C., Nov. 16-19, a panel of experts discussed growth of residential pellet heating, some pros and cons, as well its current role in U.S. renewable energy generation. The U.S. EPA has published renewable identification number (RIN) data for October, reporting that D3 cellulosic biofuel and D7 cellulosic diesel RINs were generated during the month. D3 and D7 RINs were also generated in June, July and September. The Pellet Fuels Institute is recruiting members and other industry representatives to get involved in the development of new pellet safety standards by the International Standards Organization. Those interested are encouraged to contact PFI staff. EDF Renewable Energy and Santee Cooper have dedicated the Pinelands Biomass project, which consists of two nominal 17.8 megawatt (MW) generating facilities located in Allendale and Dorchester Counties in South Carolina. 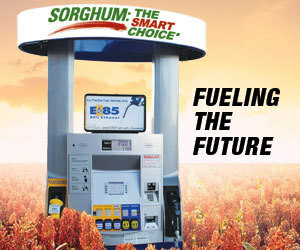 A recent FarmDoc Daily post features an analysis of the recent U.S. EPA proposal for the renewable fuel standard written by two economists of the USDA. The post outlines three possible scenarios, assuming the proposed rule is finalized as is. Fort St. James Green Energy Limited Partnership recently announced that it has closed on its financing for the Fort St. James Green Energy Project, a $235 million, 40-megawatt (MW), biomass-fired power plant in Fort St. James, British Columbia. Lockheed Martin's army of engineers has expanded its expertise to bioenergy and biofuels. The U.S. Department of Energy recently awarded funding to support the development of two biomass thermal projects in the Midwest. The awards were made as part of a $7 million round of funding to nine tribal clean energy projects. In 2009, The U.S. Department of Energy awarded nearly $5 million to Genera Energy Inc. and the University of Tennessee to research and develop economical systems for bulk-handling and processing of chopped switchgrass. That project is now complete. Dyadic International Inc. recently released financial results for the third quarter, reporting revenues of $3.5 million, up from $2.5 million for the same period of last year. The company also recently announced the award of a new U.S. patent. On Nov. 21, the U.S. EPA published a notice in the Federal Register announcing a public hearing will be held on Dec. 5 in Washington, D.C. on the 2014 renewable fuel standard (RFS) proposed rule. A group of investors sent a letter to the U.S. Securities and Exchange Commission on Nov. 20 asking for a review of filings made by three bioenergy producers that they claim include misleading statements about the benefits of biomass energy. General Motors and Detroit Renewable Energy announced a new waste-to-energy project that will generate 58 percent of GM's Detroit-Hamtramck assembly plant's power needs. New Canaan Capital Management LLC, a private equity-funded limited partnership launched in 2012, is about to close on its first closed-loop biomass power project via the company's Green Energy Opportunity Fund. Biocatalyst producer Codexis Inc. recently released its financial results for the third quarter of 2013, reporting that it will immediately begin to wind down its CodeXyme cellulase enzyme program for the production of cellulosic sugars. Viridis Energy Inc. has formed a wholly owned subsidiary, Viridis Merchants Inc., to arrange transactions between buyer and sellers of alternative energy, including wood pellets. The company has also hired a commodities trading specialist. A three-party collaboration between Drax, Lloyd's Register Rail U.K. and WH Davis has yielded the world's first pellet rail wagon, which maximizes the efficiency of each train load that rolls out of Britain's ports. Biomass Magazine is on site at the Wood Pellet Association of Canada's annual general meeting, which is currently underway and highlighting the sector's rapid growth. Forest2Market kicked off a 24-part series to educate wood pellet project developers about the complexities of the U.S. wood supply chain. Topics will range from feed-in tariffs and certificates for difference to sustainable feedstock demonstration. M&G Chemicals announced a second-generation biorefinery in China to convert biomass into ethanol, bioglycols and 45 MW biopower. Using Prosea technology, it will be 4x larger than Beta Renewables' Crescentino, Italy, plant. Researchers at the J. Craig Venter Institute in Rockville, Md. and Waseda University in Tokyo have modified cyanobacteria's biological clock to remain in its daytime state. Biomass equipment manufacturers are striving to provide top-of-the-line feedstock-sizing equipment. Inspired by customer feedback and demand, several companies made upgrades to their products this year. Wood Stove Decathalon underway in Washington, D.C. The Alliance for Green Heat's Wood Stove Decathalon is underway at the National Mall in Washington, D.C., an event during which twelve teams are competing for the title of the cleanest, most efficient and innovative wood stoves. Ontario will achieve its goal to eliminate coal-fired generation before the end of 2014. Over the next year, the Thunder Bay Generating Station will stop burning coal and be converted to use advanced biomass as fuel for electricity generation. Eight of the world's leading consumer brand companies and conservation group World Wildlife Fund recently announced the formation of the Bioplastic Feedstock Alliance to support the responsible development of plastics made from plant material.